Oh what a weekend that was!!! Hopefully by the end of the week I will have all the convention reports written and posted. I did Kate's first, as that is the one I've had the most requests for. 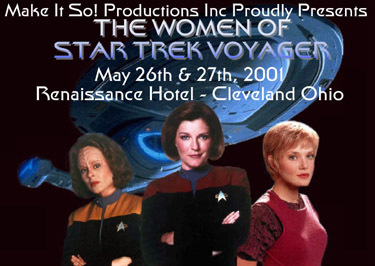 I will be posting reports on Roxann Dawson, Jennifer Lien, Nancy Hower, and Fintan McKeowan as I complete them. Please check back later this week.